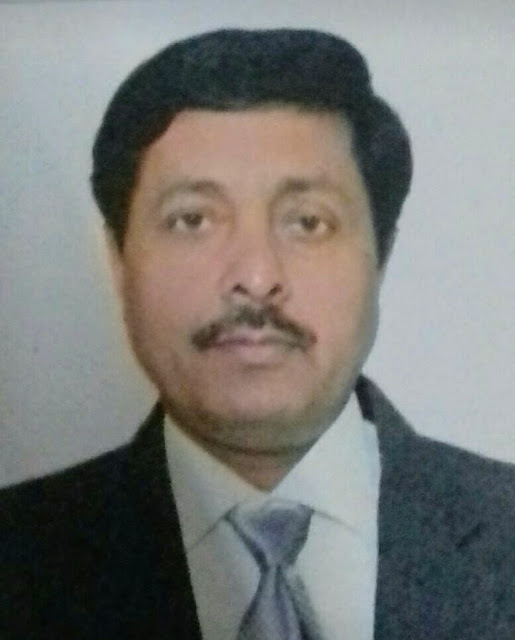 Mr. Ramesh Kumar Thakur has been appointed as new Principal of Desh Bhagat Global School. Mr. Kumar is an educationist and has a long teaching experience. He has been associated with leading educational institutions for the last 30 years in various positions. Before his new appointment he was serving as Principal, Guru Teg Bahadur Sr. Sec School Patran. . Mr. Ramesh Kumar has also worked as a PGT (Mathsss) in Punjab Public School Nabha. . While congratulating him, the school Chairman Dr. Zora Singh, Vice Chairman Dr. Tejinder Kaur conveyed their best wishes. Dr. Zora Singh said that his long educational experience and far sightedness will definitely be helpful for all round development of the school. While talking about his vision for the school, Mr. Ramesh Kumar Thakur expressed, ‘State of the Art infrastructure and Educational Development are the strongest points of Desh Bhagat School, and we will further leverage it to develop and take this school to the next level’. It's worth mentioning that Mr. Ramesh Kumar Thakur is actively contributing in the field of Education and he is also working for social causes. All staff members congratulated Mr. Ramesh Kumar Thakur on his appointment.